Emergency Response USA. does not collect personal information about you unless you choose to provide that information to us or you choose a service on the ERUSA Websites that requires you to submit personal information in order to receive the selected service. Personal information may include your name, title, company, address, e-mail address, phone number and the like. Unless specifically stated, we do not require personal information to obtain access to any part of the ERUSA Websites. Emergency Response USA. web servers may collect the IP addresses of visitors to the ERUSA Websites. ERUSA Websites may also contain an electronic file called a Web beacon or an Action Tag, which allows a Emergency Response USA. or its contractors to count users who have visited that page or to access certain “cookies” (described below). This information may be aggregated to measure the number of visits, average time of visit, pages viewed, etc., in order to measure the use of the ERUSA Websites and improve content as may be necessary. Emergency Response USA. does not obtain any personal information from your IP address or from any Web beacon or Action Tag on the ERUSA Website. In addition, when you view certain parts of the ERUSA Websites, information may be stored on your computer. This information will be in the form of a “cookie” or similar file and will permit tailoring of the ERUSA Websites to better match your interests and preferences. Cookies are primarily used to enhance your online experience by aiding navigation and functionality of the ERUSA Websites. Emergency Response USA. does not obtain any personal information from the cookies placed on your computer. Emergency Response USA. uses the personal information that you supply to provide you with information about your account and additional products and services that we think may be of interest to you. We do not share your personal information with third parties, except we may store and disclose personal information as allowed or required by applicable law, including, without limitation, making disclosures (i) that are necessary or advisable to protect the rights, safety and property of Emergency Response USA. or others, (ii) that are necessary or advisable to conform to legal or regulatory requirements, and (iii) to contractors who assist in the design of the ERUSA Websites. 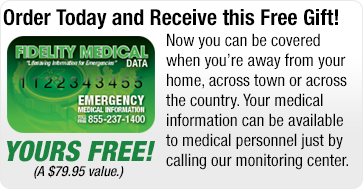 ERUSA does not sell or lease personal information to anyone not affiliated with Emergency Response USA. If you send us a resume to apply online for a position with Emergency Response USA., we will use the information provided to evaluate you for available opportunities. Some areas of the ERUSA Websites are not accessible unless you supply certain personal information. For example, in order to access your account via www.emergencyresponseusa.com, you must enter your “user name” and “password”. Emergency Response USA. has security policies and procedures in place to protect your personal information from loss, misuse or alteration. When you are logged into emergencyresponseusa.com, your personal information is protected by current technology that uses a secure socket layer (SSL) protocol with a required 128-bit encryption key. SSL is an encoding algorithm that encrypts information passed between your computer and Emergency Response USA. in an effort to prevent unauthorized access of your personal information. In addition, our personnel who have access to your data have been trained to maintain the confidentiality of your personal information. If you have a user name and password for access to the non-public areas of the ERUSA Websites, you are solely responsible for all activities that occur in connection with your user name and/or password. Emergency Response USA. recommends that you take steps to protect the confidentiality of your user name and password. If you become aware of any disclosure, loss, theft or unauthorized use of your user name and/or password, please notify Emergency Response USA. immediately. Except as stated in the paragraphs above, any communication or material you transmit to the ERUSA Websites by electronic mail or otherwise, including any data, questions, comments, suggestions or the like, is, and will be treated as, non-confidential and nonproprietary. Any such communication transmitted or posted to the ERUSA Websites shall become the property of Emergency Response USA. or its affiliates and may be used for any purpose. Emergency Response USA. understands the importance of protecting children’s privacy online. The ERUSA Websites are not intentionally designed for or directed at children under the age of 13 years. It is our policy never to knowingly collect or maintain information about anyone under the age of 13.